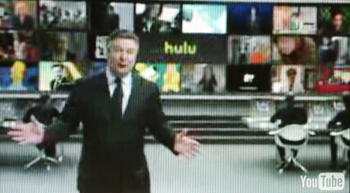 HULU is the new digital high definition interface between home computers and television networks. They would like you to believe this is all wonderful and completely FREE. Don’t be fooled, NOTHING is free. Somebody is paying BILLIONS of dollars to bring this technology “home” to you. 1. What is HuLu? 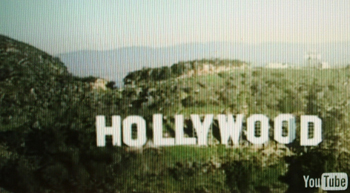 A digital streaming video that allows anybody with a personal computer hooked to the internet to access and watch popular TELEVISION PROGRAMS. 2. Who funded this “free service”? The U.S. military and INTELLIGENCE AGENCIES, primarily. Why? Ostensibly, so the Military and other civilian contractors can now access American “programming” anywhere on the planet. 3. 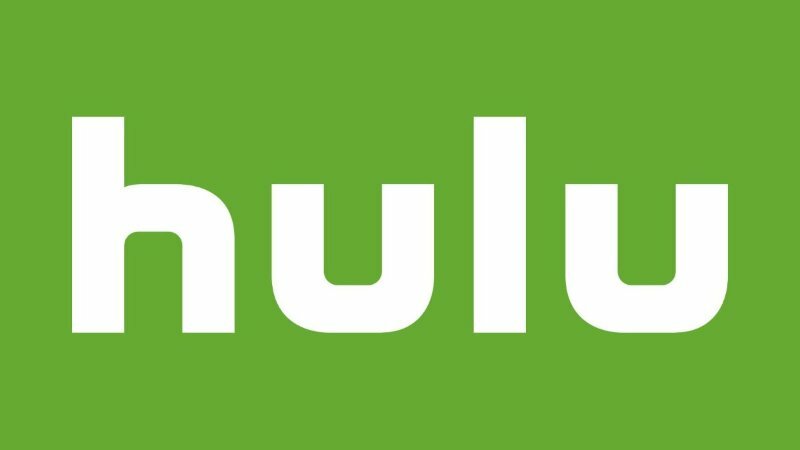 How was the name HuLu formed? On December 3, 2002, US Patent #6,488,617 was issued to a man named Hendrickus (knicknamed Hu for short) Loos (pronounced Loo -the s is silent.) 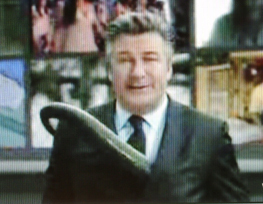 Could this be the reason for calling this “HuLu”? 4. Loos’ patent abstract describes using computer monitors and HD TV Screens as broadcast medium for digital, pulsed “electromagnetic fields capable of exciting SENSORY RESONANCES IN NEARBY HUMAN SUBJECTS” —- while the “displayed images are pulsed with SUBLIMINAL INTENSITY” to bring about a specific emotional and even PHYSICAL response in humans viewing the medium. 5. These “electromagnetic fields” are capable of MIND CONTROL PROGRAMMING of specific individuals. It is even possible to cause PHYSICAL ILLNESSES by this method — including flu symptoms, heart attacks, or strokes. 6. A specific digital frequency can be customed designed to be sent to the end user of HuLu to produce a specified physical event. All that is needed for the computer to design this frequency is a sample of the victim’s DNA. Can latent designer-flu and other killer viruses be activated by means of HuLu in civilian populations? Can HuLu interface with Langley’s master PROMIS A.I. (artificial intelligence) computer to work harmoniously with drone spy-bots and robots via computer screens on selected individuals? Will this be the DHS’ primary tool to quell civilian unrest when the U.S. banking system is collapsed? Is this why over 20% of the new DIGITAL bandwidth was given to the Dept. of Homeland Security — in the name of “Public Safety” — i.e. crowd control? If these questions intrigue you, then, read on. 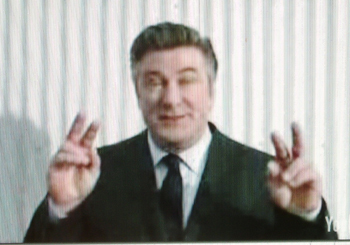 In the commercial, the Hollywood sign (the center of Zionist WITCHCRAFT & MIND CONTROL) is shown from the air, then the camera pans to the base of the “H” where we see Alec Baldwin telling us some very strange info about HULU after entering into a SECRET, HIDDEN DOOR in the “H” – revealing a covert human performance laboratory. 1. 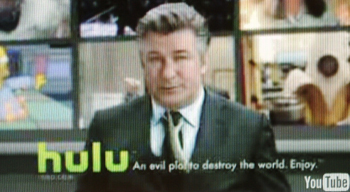 Baldwin explains that HULU will more effectively turn your brain to mush, when combined jointly with TV and Computers. 2. 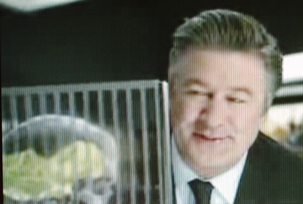 He then says that it is perfectly fine to have a mushy brain, because “we are aliens” and “we like them that way” as they “scoop the mushy brains” away from the skulls. This isn’t FUNNY folks. I personally have witnessed victims of Satanic Ritual Abuse testify in hypnotic regression sessions that demon “reptilians” appear in the center of the pentagram at the point of human sacrifice, and —– based on hierarchical position — are given the BEST human delicacies to consume with eager anticipation. The number one delicacy? You guessed it folks –The brain. Number two? The heart, bowels and viscerals in that order. Can this technology turn a human brain to “mush” just like the HULU ad shows? Who exactly is paying the multi-billion dollar bill for this little exercise? Big Business, Big Pharma, and Big Brother — Department of Homeland Security (DHS) are all involved. WHY do they wish to give America this little “free” bonus? Just when you think it can’t get any crazier!